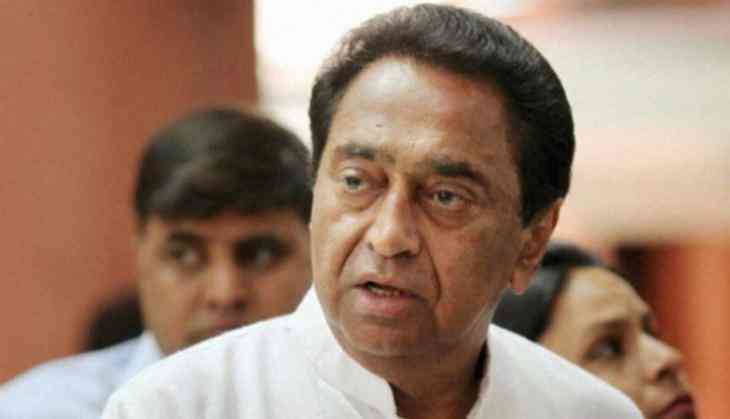 Madhya Pradesh Chief Minister Kamal Nath on Wednesday alleged a Rs 2,000 crore farmers' loan scam during the previous 15-year-old BJP rule and vowed strict action against those involved in falsifying the list of beneficiaries. Kamal Nath today met some farmers who never took loan, but their names figured as beneficiaries. The list also included the names of farmers whose loans had been waived. "This is a big scam, it is expected to be of more than Rs. 2,000 crore. We will take strict action," the Chief Minister said. Congress leader Shobha Oza said, "A Rs 2,000 crore loan scam happened during the 15-year rule of BJP and the Kamal Nath government will take the issue to its logical conclusion. No one will be spared." Last week, a farmer in Madhya Pradesh's Sagar district died due to cardiac arrest after getting to know that he had a huge amount of loan on him whereas he had not taken it as claimed by the family. The deceased identified as Mukundi Adivasi, a resident of village Sardai Nayanagar came to know that he had a loan of approximately Rs. 5 lakh on his name as was written in a list posted at the local cooperative body office in the district. According to one of his family members, Mukundi turned nervous after getting to know about the loan and his condition deteriorated on Wednesday. He was immediately taken to a hospital but was declared brought dead by doctors. A local bank in the area pasted a list of farmers who have taken loans, as part of the process initiated by the Congress-led Madhya Pradesh government to waive loan of farmers up to Rs. 2 lakh per head, as was promised by the party during the state assembly elections last year. During polls campaign, Congress president Rahul Gandhi had announced waiving farm loans within 10 days after being voted to power. Apart from Mukundi, there are other farmers as well who have alleged that their names have been included in the list of farm loan waiver even when they never took a loan.